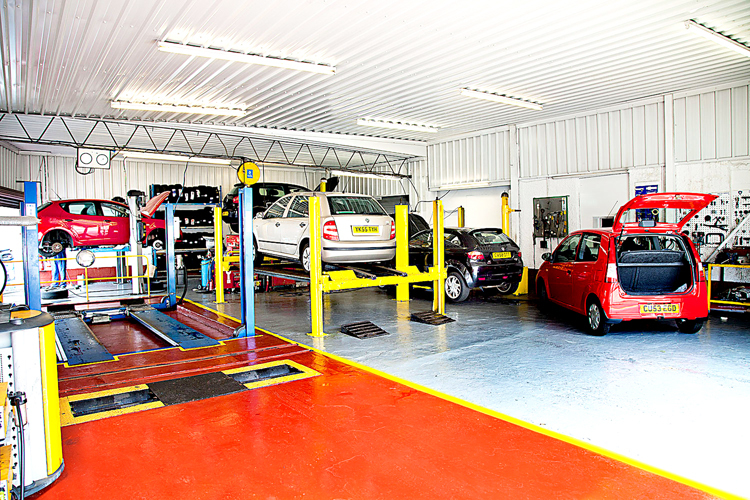 Looking for a garage to fix your Battery in Swansea? Save money: Instantly compare Battery Repairs prices in Swansea to find the best deal. Quick and easy: Simply enter the registration number of your car and your post code, compare prices, choose a local garage in Swansea and book your Battery Repairs. "Absolutely happy. Will be more than happy to go back for 2020. So friendly and helpful! Just hope my 2006 doesn’t have any more problems. They fixed everything,value for money, friendliness, everything you expect and more. A total WOW! From me THANKYOU Steve, kind reguards to all fellow workers, see you next year. X"
"Title says it all. If only all businesses had the same work ethic." "As always, excellent customer service - always kept informed and work was done in a very timely manner." "Barely charged me anything for sorting out the rattle on my car whilst coaxing it through an MOT and Service." "Lovely friendly garage, only needed an MOT which passed so need for work . Would definitely use them again"
Whether you’re driving in Swansea or further afield, think about road user etiquette. Showing respect for other road users makes driving more pleasant for you and safer for everyone. For example, if you have to make a last minute change of lane, make your request to change clear to the driver who will need to let you in - and signal your thanks if they do. Be ready to abandon the change of lane if they won’t play ball - your safety (and that of other drivers and pedestrians) is more important than getting to your destination in the shortest time possible. When the position is reversed and a driver asks your permission to change lanes, allow them to as long as it is safe. If you get frustrated, avoid using your horn - it won’t improve matters and might make them considerably worse.